Building codes protect life safety and are minimum standards. Every three years they are updated. We encourage the adoption of current building codes. 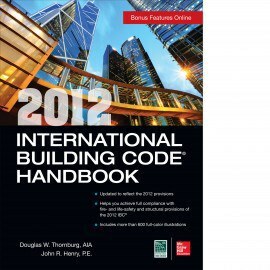 Every three years, the International Code Council (ICC) releases updated building codes which cities and jurisdictions can adopt. These minimum standards protect residents from life-safety hazards and allow residents to get out of a property quickly and safely while allowing emergency responders ease of access if you need help. They are not intended to make sure your property is there after the next big storm or to protect your personal property, yet. If cities, jurisdictions, and municipalities enforce building codes at all, they typically adopt them every three to six years to provide residents a level of life-safety protection and to provide the building industry a level of consistency to work within. We are working to improve requirements by adding resilient building methods, such as the simple and common sense recommendations of FORTIFIED, into local building codes. The primary way we are accomplishing this is with our Code Supplement. FORTIFIED is code-plus, meaning it goes beyond most building codes by adding advances in building science knowledge based on over 20 years of testing and research by the Insurance Institute for Business and Home Safety. This gives families, business owner's and communities a much greater chance of being able to return home after a storm, begin recovery quicker and get the economy going again. Homeowners could even sleep in their own beds, and for those who have ever been displaced by a storm because of damage, this added peace of mind is priceless. Learn more about building codes at ICCSafe.org. Watch this excellent video of Hurricane Andrew and Building Codes by IBHS. Find out more about the Code Supplement, which bridges the gap between current I-Codes and FORTIFIED technical requirements.